For veterans, there are a variety of benefits and services that are made available to them through the Veterans Administration. These benefits are earned by those who served honorably in the military and can be claimed throughout their service career, or post-service life. These benefits can be applied for online, in person at the nearest VA clinic, over the phone, or by mail. 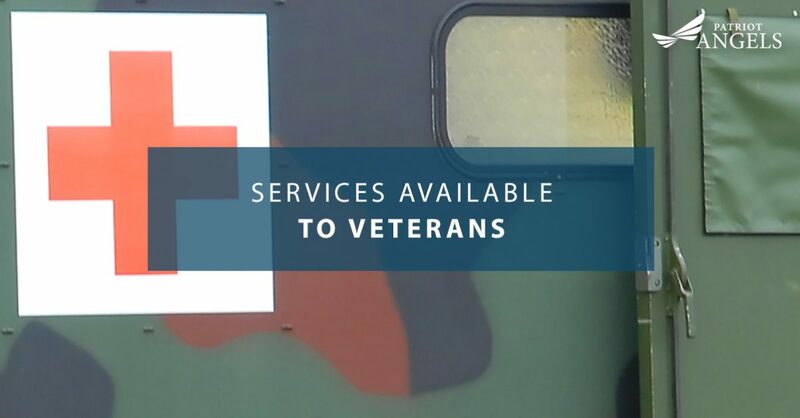 To ensure that all of our veterans are aware of what services are available to them, Patriot Angels will outline some of the most useful and sought-after services. The VA provides a variety of health care services to qualifying veterans and service members. These services are comprehensive, and allow veterans to take care of their bodies after they leave the military. These services include dental work, vision care, mental health services, as well as assisted living and home health services. In many cases, through these health care services, veterans are offered insurance rates that are significantly lower than private sector insurance options. Many of these health-care options offer rehabilitation opportunities so that veterans can recover fully from any maladies, injuries, or illnesses that were sustained during or as a result of their service. The VA maintains 135 national cemeteries in 40 states in Puerto Rico. Currently, the VA is working toward increasing the accessibility of this service, allowing for 95 percent of veterans to have a burial option in a VA, state, or tribal cemetery that is within 75 miles of their home. For those who chose a private burial, there are benefits available to them as well. Memorial benefits include a headstone, marker, or medallion. A burial flag along with a Presidential Memorial Certificate. Those who elect to be buried in a VA national cemetery are entitled to a government-furnished grave liner, as well as the continual care for their gravesite. The VA wants veterans to find success in transitioning out of military service and back into the civilian sector. As part of this effort, they offer a variety of training and educational opportunities for veterans. These include things like the Veterans Job Training program that provides apprenticeships that offer veterans a contract with an employer or union at the end of the program. Other education services in the Post-9/11 GI Bill, which offers financial support for veterans who chose to pursue an undergraduate or graduate degree. The assistance takes the form of a stipend that can be applied to tuition costs, housing, and toward books and other school supplies. There is also the Montgomery GI Bill, which offers assistance to active duty military personnel and reservists who are working toward educational degrees from colleges, university, and certificate programs. Housing for veterans continues to be a pressing issue for the VA. That’s why they offer a variety of housing services, including the VA home loan program that can be used to purchase a house, condo, or other home. Other services include refinancing of current home loans, allowing veterans to cash-out on the equity of their home loan to receive a lump sum of cash. They can also reduce their interest rates through loan refinancing programs. The VA can also assist in energy-saving projects like solar panel installation. For veterans with disabilities, housing loans can be used to create homes that are adapted to their needs. These include SAH, or Specially Adapted Housing, as well as SHA, Special Housing Adaptation grants. These provide veterans funds to create homes that are easier for them to navigate and live in. The Aid and Attendance pension offers benefits that are designed to reduce the expenses veterans incur when they or their surviving spouses need long-term health care. The Aid and Attendance pension provides up to $1,153 per month to a surviving spouse or $2,127 per month to a couple. The pension stipend is paid directly to the veteran on a monthly basis and is tax-free. If you or a loved one is in need of long-term health care to help them maintain the quality of their life, don’t wait to reach out the Patriot Angels. Our team of specialists can help you navigate the qualifications process and gain access to the Aid and Attendance pension funds that you deserve. Contact us today to find out more.